This summer, Arts for Learning's Lewis Arts Studio (LAS) students will present a special exhibition, The Process, culminating from the program's four-week intensive summer art training. The free community event will be held on Saturday, August 3, 2013 from 2:00 to 5:00 p.m. at the Lewis Arts Studio in Coconut Grove (101 Grand Avenue, Miami, FL 33133). 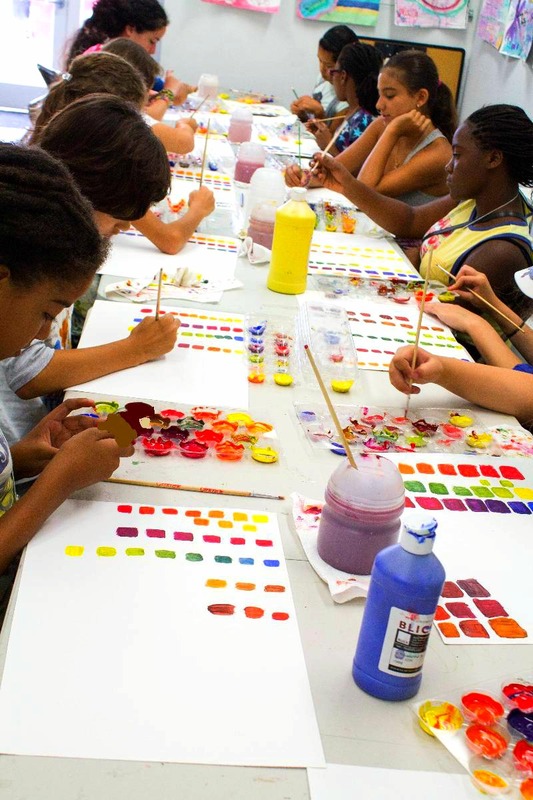 Established with a commitment to support artistic talent while fostering essential life skills- teamwork, communication, critical thinking, and problem solving- the LAS provides students visual arts study, magnet school application guidance, and mentors during the summer and academic school year. Generously supported by the Jonathan D. Lewis Foundation, the four-week summer intensive program involves five full days of arts training. Students receive three hours of technique training each morning and engage in creative arts assignments led by professional artists during the afternoons; on Wednesdays, students attend field trips to local cultural institutions. During the academic year, studio participants meet once a month on Saturdays to continue honing their artistic skills and enjoy cultural excursions. 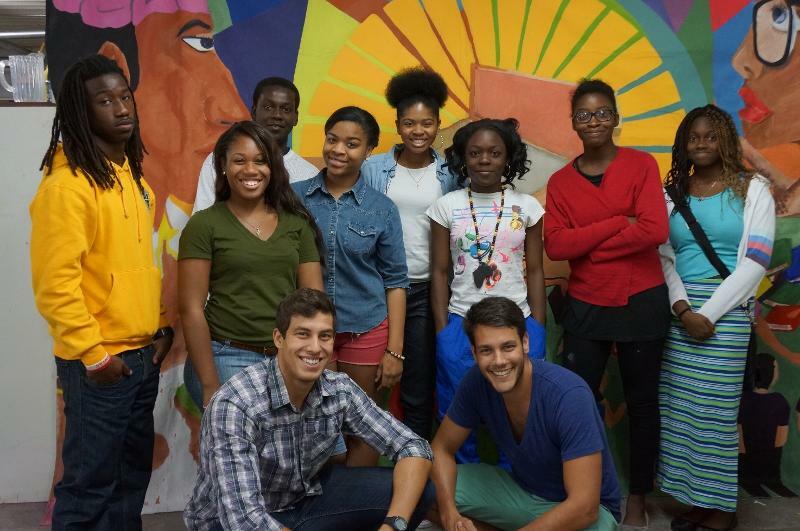 The Lewis Arts Studio piloted its first program during the summer of 2009 through the collaborative efforts of Arts for Learning/Miami, Design and Architecture Senior High, the City of Miami Mayor's Office, The Miami Foundation and the Jonathan D. Lewis Foundation. Each of these entities played a key role in establishing the framework, environment, content and resources for the program's success. According to A4L Executive Director, Sheila Womble, "The Lewis Arts Studio is thoughtfully designed to work with students year round and during all three years of middle school. Not many other arts programs are this intensive or build such a strong community of learners. When your alumni don't want to leave the program, you know you have made a meaningful connection with the students. Seeing their artistic craft and thinking become more sophisticated while they also build a positive network of support with their peers and faculty - that is what it is all about. " "The foundation is committed to making the arts accessible to all youth by cultivating and supporting their artistic interests and investing in their futures," stated Jonathan D. Lewis, president of the Jonathan D. Lewis Foundation. LAS faculty is comprised of professional visual artists and magnet arts teachers from Miami-Dade County Public Schools. The 2013 artist faculty includes Abdiel Acosta, Loriel Beltran, Aldo Luna, and Karen Schnell-Chisolm. In addition, prominent guest speakers such as artists Harumi Abe and William Cordova and photojournalist Caitlin Granfield were invited to lead presentations, workshops, and engage students in active discussions. Furthering the holistic educational experience by inspiring local youth to pursue arts careers, LAS alumni who are in high school serve as mentors to the middle school students and assist in the classroom and during group lunchtime activities. The program also provides full, multi-year, need-based scholarship awards to eligible students. For more information on LAS or to apply to the program, kindly contact Arts for Learning's office at 305.576.1212 or Janet@a4lmiami.org. The Knight Foundation's blog also featured the program. Read more about it. Students engage in a color theory activity under the direction of teaching artist Karen Schnell-Chisolm.